Occasion: The invitations can be Used at a Wedding, Brides Bridal Shower, Baby Shower, Graduation Celebration, Birthday Parties & More! 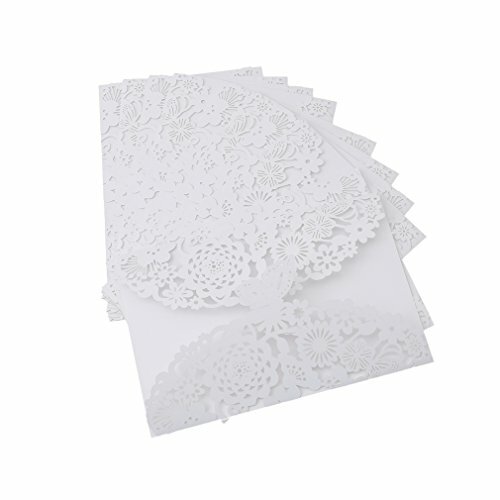 Inner Sheet: Printable Invites Paper: Both sides of the Inner Sheet are Blank and Without Any Text or Graphic Which is printable. 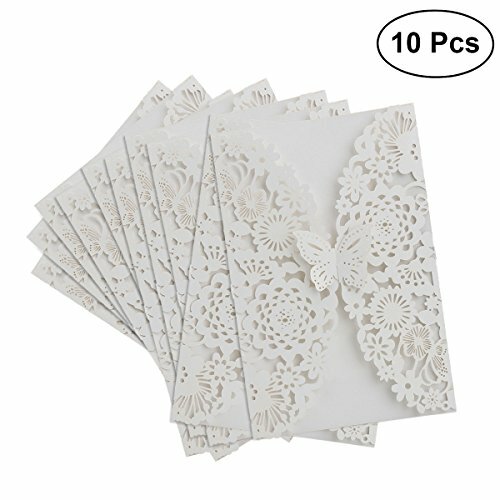 --- Included --- 30 x Invitation Cards 30 x Blank Inner Sheet Note: The inner Sheet are white and beige, and the color is random when shipped. 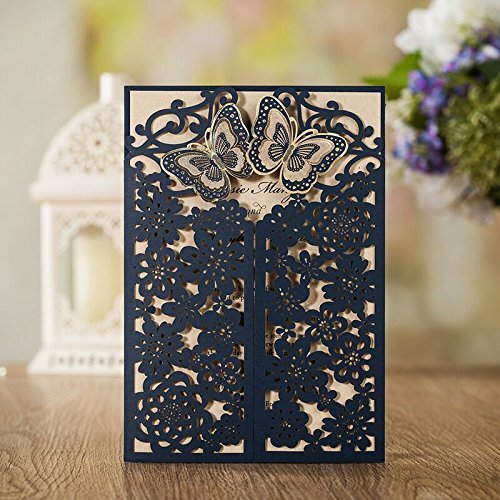 --- Description --- Paper Laser Cut Bronzing Wedding Invitation Cards with Butterfly Hollow Favors Invitation Cardstock for Engagement Birthday Graduation Baby Shower. 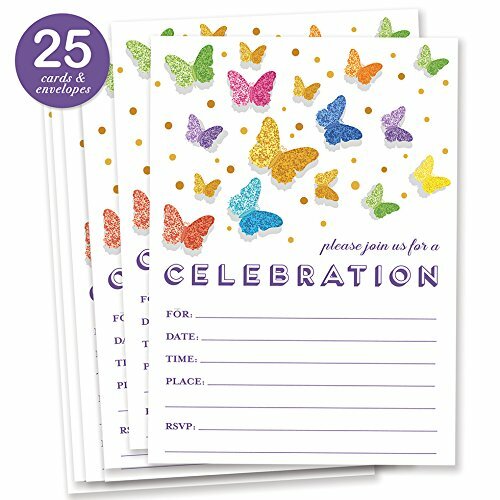 Occasion: The invitations can be Used at a Wedding, Brides Bridal Shower, Baby Shower, Graduation Celebration, Birthday Parties & More! Printable Invites Paper: The Inner Sheet is White. Both sides of the Inner Sheet are Blank and Without Any Text or Graphic Which is Printable.One Page Without Fold. 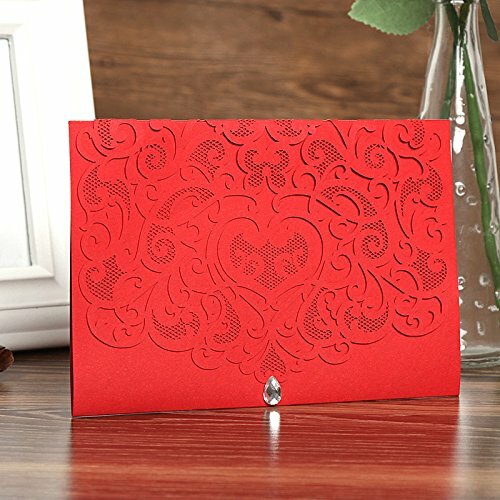 --- Included --- 50 x Invitation Cards 50 x White Blank Inner Sheet 50 x Red Envelopes 50 x Acrylic Crystal Please kindly notes Acrylic Crystal need to stick onto Cards By Yourself. --- Product Size --- Invitation Size: 7.09 x 4.72 Inch (18*12CM) --- Service --- We Always Follow Your Require Time to Ship The Goods. If You Meet Any Issues , Please Contact With Us First. --- Shipping Time ( Non FBA Orders) --- Normally We Need 1-2 Days Prepare the Goods and Send to My Shipping Agent. If You Choose "Standard" Shiment , Will Need About 15-20 Days Delivery. If You Choose "Expedited" Shipment , Will Need About 4-5 Days Delivery,This Need Extra Shipping Charge. If You have urgent Requestment, Please Do not Place the Order ,Please Contact With US First to Check the Delivery Time. 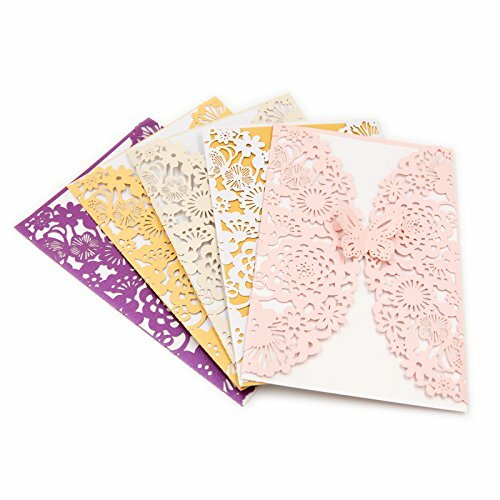 INVITATION KIT INCLUDES: Invitation covers (pockets), printable inner sheets (inside paper), envelopes, seals stickers. 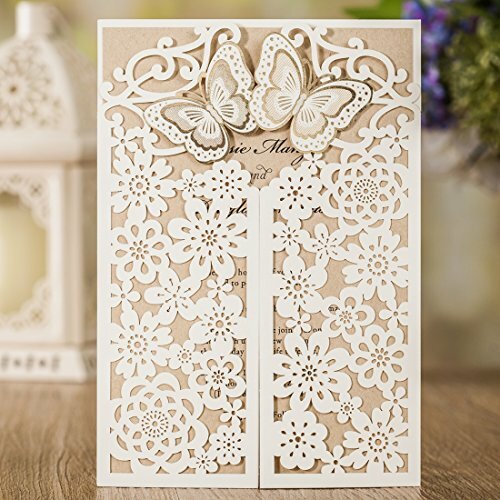 HOW DO I CUSTOM PRINT: The cards kits are printable and compatible with printers which can customize the paper size. You can print your own text, graphic, photos, etc. Meanwhile, you can also write your own words. The digital printing template file (Use the software Adobe Illustrator open it.) can be sent to you. Please contact us after you purchased. If you want to print them yourself, you must be able to use the software to edit and skilled operation of the printer. In order to print correctly, we suggest you make a test print before printing all of them. We also suggest you go to a printing shop to get help. BRAND: WISHMADE is a top brand for more than 45 years in Korea. You can find more styles in our shop. " Occasion:wedding, wedding anniversary, bridal shower, baby shower, graduation, quinceanera celebration, birthday, bachelorette party or more. 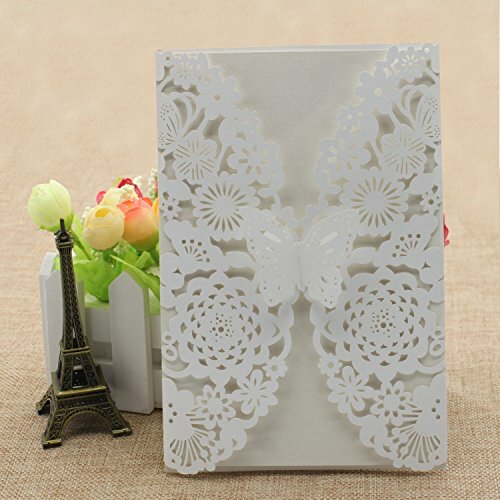 Color: ivory laser cut wedding invitation with butterfly pocket, kraft inner sheet Brand Name: Wishmade Material: Paperboard Card Formats: one paper Design and Technology: hot stamping,laser cut,hollow,floral Print by yourself : The inner sheet is compatible with printers which can customize the paper size, please WRITE TO US if you need the Adobe Illustrator template If you want to print them yourself, you must be able to use the software to edit and skilled operation of the printer. In order to print correctly, we suggest you make a test print before printing all of them. We also suggest you go to a printing shop to get help. Print by us: Before you order, Send us your text by Amazon message, we will design the draft for you. You can place your order until you confirm the printing draft. We need 1 day for printing and dry ink, 4-7 days to receive in US by express We are sorry that we do not accept return for the customize printed orders. 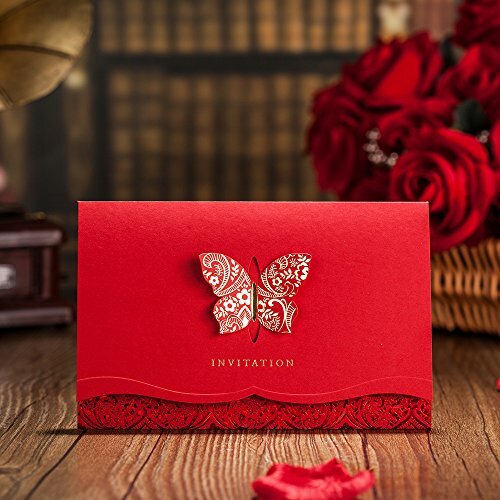 Copyright © Wholesalion.com 2019 - The Best Prices On Butterfly Bridal Shower Invitations Online.